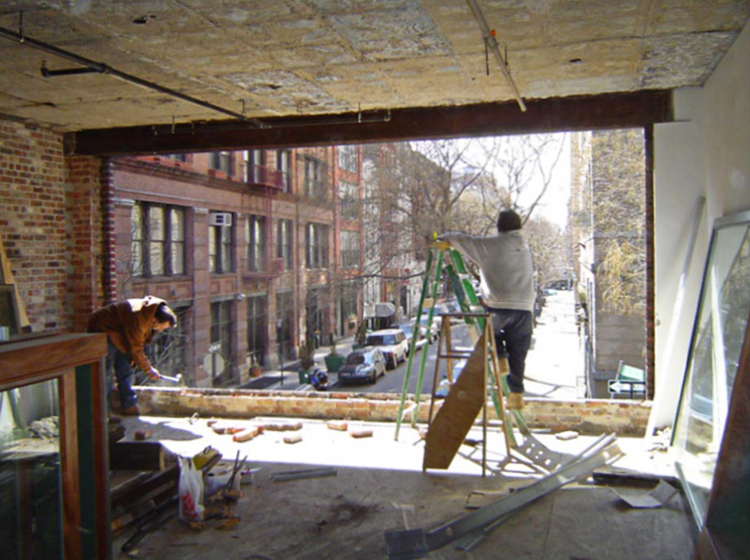 This four story commercial building, on a mid-block site on Bleecker Street in the NoHo Historic District, was stripped back to its structural shell and redeveloped for commercial/residential mixed-use, with residence for the client. 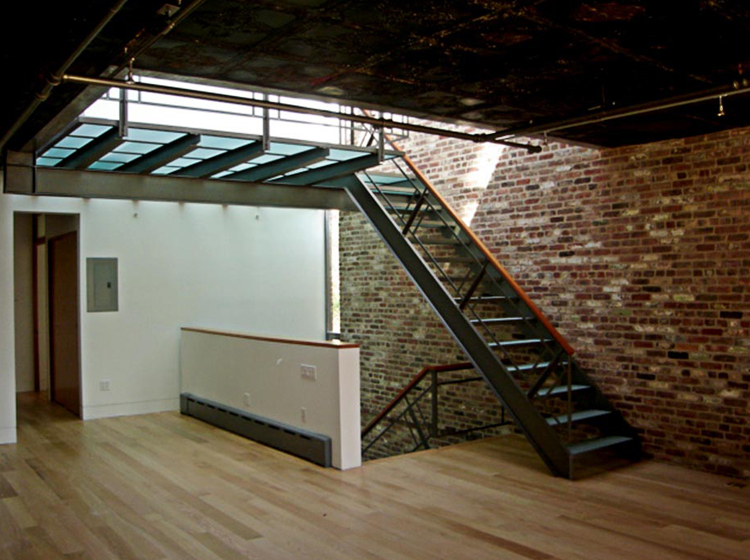 The first floor and basement retain their commercial uses, the second floor was converted to a residential rental unit, and the top two floors, mezzanine, and roof terraces were combined to make a unique, urban dwelling. The living spaces are oriented toward large window openings that look directly south, down a tree-lined side street, visually extending the modest dimensions of the interior. 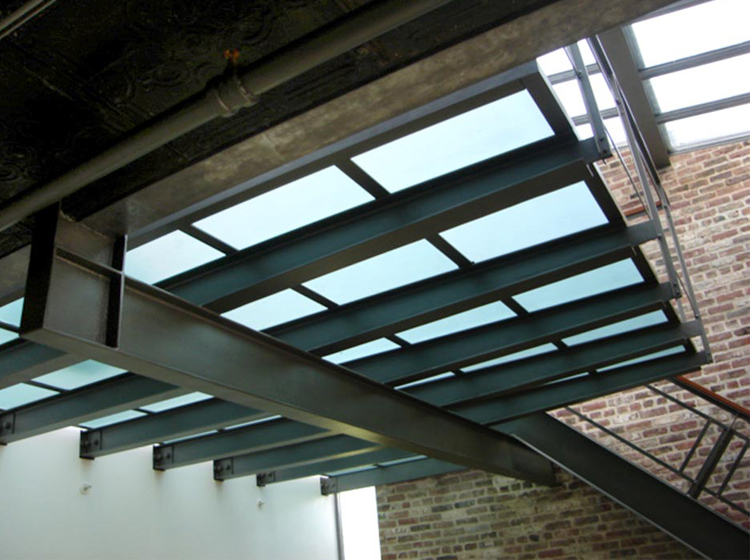 The spaces are detailed with indigenous materials that include black iron, recycled mahogany flooring, brick walls, glass stair treads, and a zinc-clad penthouse structure. The entire roof is generously landscaped with architectural treatments that employ a combination of Ipe wood planks, benches and planters, bluestone deck pavers, and zinc clad skylights. The overall effect of the development is one that unites characteristic New York City building materials with modern sensibilities.